Louisville, Kentucky – At a recent special ceremony on The Big Four Bridge, Louisville, Ky. Mayor Greg Fischer flipped the switch to reveal a new connected LED lighting system from Royal Philips (AEX: PHI, NYSE: PHG), the global leader in lighting. The new dynamic color-changing lighting system, a shining example of public-private partnership, transforms the popular daytime destination into a lively nighttime art piece and backdrop for waterfront events. The project delivers on Mayor Fischer’s six-year plan to create a clean, green, inclusive environment through the use of innovative, energy-efficient LED technology. 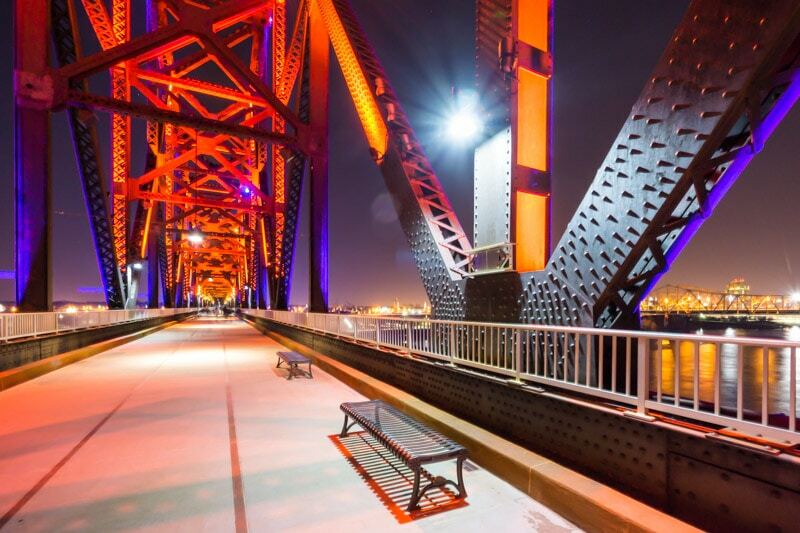 The addition of the lighting further cements the bridge as an iconic symbol of Louisville and a reflection of the vibrant community that surrounds it. 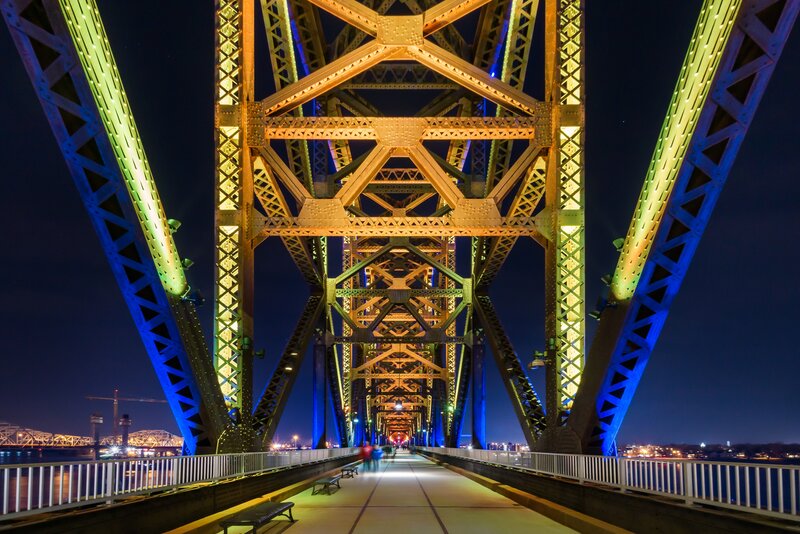 More than 1,500 Philips fixtures, mounted on both the interior and exterior of the bridge, and the software-based control system were installed and commissioned by Vincent Lighting Systems, the Kentucky-based systems integrator. Now pedestrians in the surrounding parks have a dynamic lightshow to watch from dusk to 12:30 a.m. The new lighting system is likely to further boost tourism, benefitting the local economy. 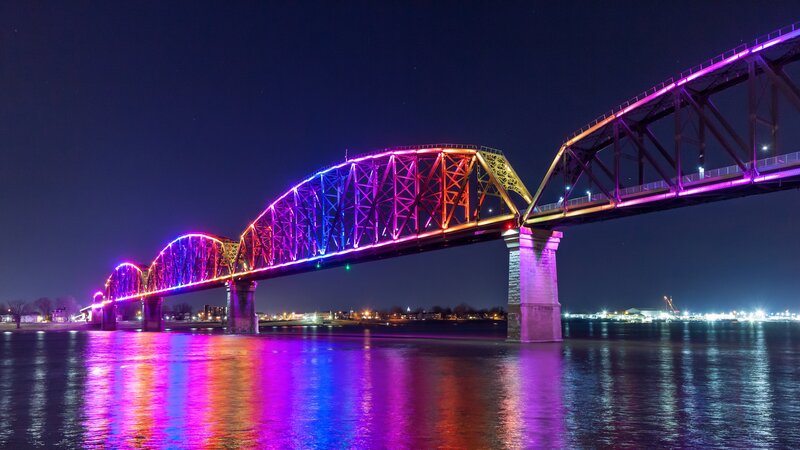 Louisville joins other innovative cities such as San Francisco, Philadelphia, Boston, Corpus Christi and Little Rock, in revitalizing their bridges and lighting them as modern icons.